In the year of 1881, the prince got married to the princes of Belgium. Just after two years, the queen gave birth of one daughter. 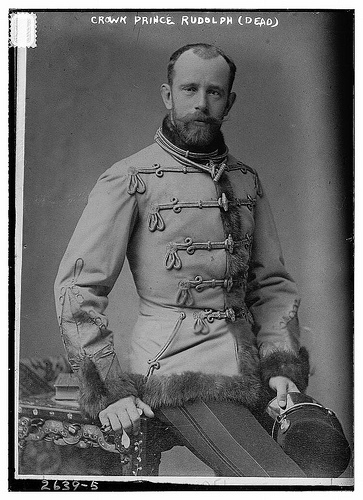 Surprisingly, Prince Rudolph was found dead in his hunting lodge along with his wife on 30th January in the year of 1889. He has inked a tattoo of an Isis snake on some unknown place of his body. There are many questions regarding this snake tattoo mystery. Many people have their own view regarding this issue. This special snake which was attached along with the Isis was in the name of an Egyptian goddess of magic who is worshipped as the giver of life also. The most interesting thing is that, all the incidents are related to the Goddess which is the Isis snake. The history of Egypt says that Isis wished to be the most powerful goddess in the universe. That is why the goddess has created the snake for the first time and added her own saliva to make it poisonous. This snake tattoo is a matter to be observed. the Egyptian tattoo also marks the ancient history of this incident.